What an exciting day. 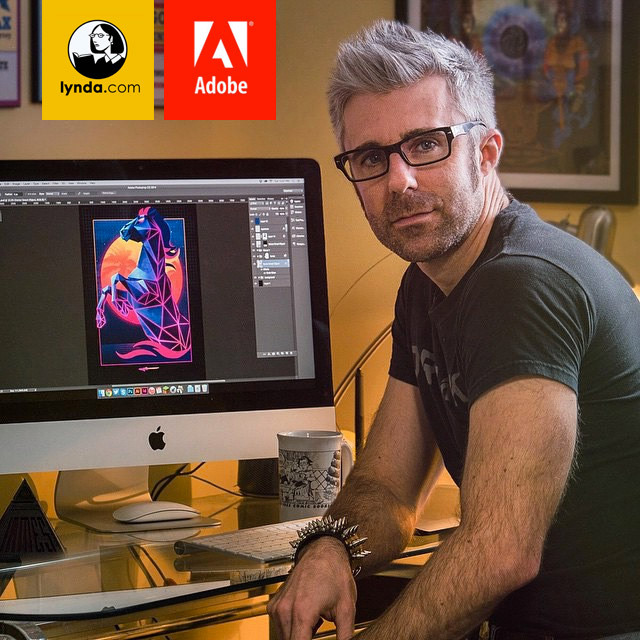 I’m thrilled to be included in Photoshop’s 25th Anniversary celebration with Lynda.com. Scott Erickson from the Lynda office flew into Dartmouth amid a crazy snowstorm last month to shoot a mini documentary in my studio as I worked on an original poster celebrating Photoshop. 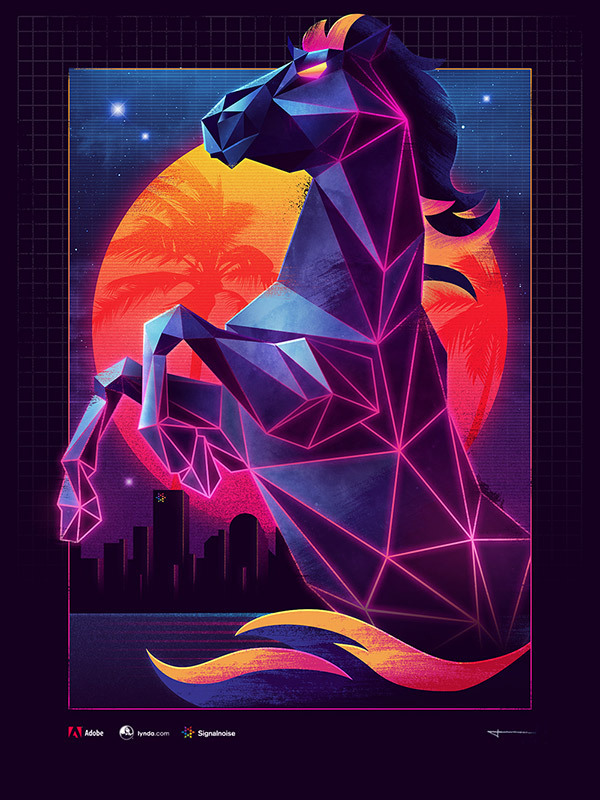 I was allowed to do whatever I wanted, so decided to take inspiration from cheesy Trapper Keeper binders I saw when I was a kid and create the mighty Laser Horse poster. This is the kind of bullcrap I make when I’m given carte blanche… heads up you big brands. 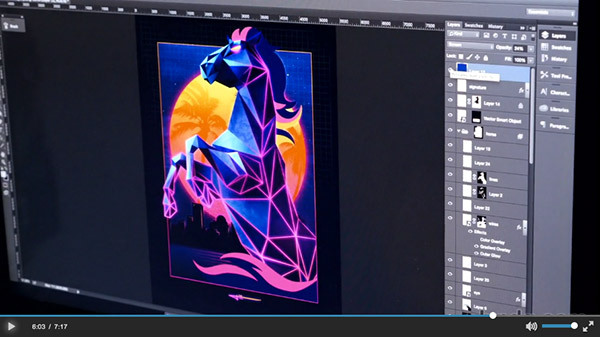 Scott and I got into the nuts and bolts of how I created the image, some tips and tricks along with some of my halfwit design philosophy on creating stuff with an 80’s aesthetic. 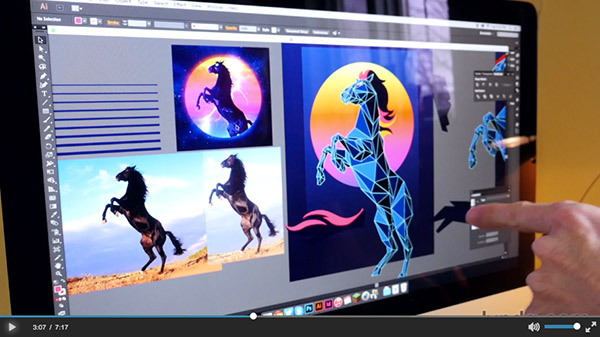 So swing over to 25 Years of Photoshop for the big celebration. I’m 1 of 3 mini docs the crew put together on the ‘Insight and Inspiration‘ page. A GIANT thanks to Lynda.com for descending on my small town to include me in such a wonderful event. I’m pretty sure I’ll be at FITC Toronto this year, hope to see you then! How do we purchase this worship worthy poster? Dude, you need to make some M.A.S.K stuff :)!